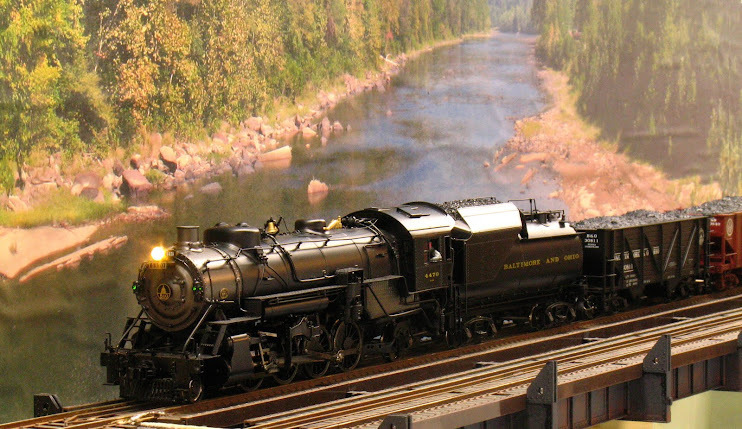 I attended the Amherst Model Railway Society train show, the "Springfield Show", Jan. 29 and 30. This year's show was a bit of a treat because I was meeting some of the Model Rail Radio crew for dinner Saturday. Usually the weather in Springfield, MA is bitterly cold the last weekend in January for the show; but this year was practically balmy with temperatures near freezing and a break in the frozen precipitation that has plagued the Northeast US this year. This year's O Scale pickings were particularly slim because two of the major dealers who have been there in the past were not in attendance. Norm's O Scale from Maine was listed in the show directory but was not at his assigned tables and Just Trains of Delaware was also MIA; the latter probably because of the death of the owner in 2010. Usually I'm lucky to find a freight car or two that I am interested in. This year I bought two; but one I had pre-ordered for pick up at the show. Left to right in this picture are a rock mold from Sterling Models; a rather spiffy kit for "Uncle Bill's Cabin" from Deerfield River Laser; a bottle of C&O/B&O blue paint from Truecolor Paint; a Funaro & Camerlengo kit for a 9-panel, USRA rebuilt hopper; and an AHM boxcar. If you are not a long-time O Scaler you may not be aware that in the 1970's both AHM and Atlas imported lines of plastic 2-rail O scale equipment. Both lines included diesel locos and rolling stock and AHM's offerings included steam locomotives. Atlas' equipment, manufactured by Roco, were considered the better of the two and still hold up well today; so much so that Atlas has reissued them as part of their "Trainman" line (although they claim that these are from new dies). This particular AHM boxcar was among a group of them that had been re-decalled by the previous owner. NYC, Pennsy, and B&M were available, I chose the B&M. Funaro & Camerlengo make a few O Scale resin kits. Most of them are for welded covered hoppers that are too new for my era. After asking for the gondola kit at last year's show and finding that F&C did not bring any O scale stuff with them, this year I pre-ordered this kit for pick-up at the show. It's a flat resin kit that I am looking forward to assembling, it appears to be fairly simple. Tichy Train Group do make a few items in O Scale and I usually buy a few at the show. The windows were not bought for any particular project. Nor was the fire escape; in fact I don't think that I can even use it. But it was new at Tichy and I bought it just to encourage them to make more O scale. The faster they can amortize the cost of these dies the sooner they can reinvest in another set of O scale dies. The LEDs from Evan Designs are a favorite of mine and a bargain. Each LED comes prepared with a bridge rectifier and a dropping resistor. You can hook these up directly to 7-19V AC/DC/DCC. With these you do not have to worry about polarity nor current limiting. These go into all of my locomotives, unless an existing headlight cannot be opened to accept the new LED. Now I'm an electronics guy, that's what I do for a living; and I can, and have, made these myself. But for $3 apiece, barely more than the cost of the components in small quantities, it doesn't make sense and it's not worth my time. They come in 1.8 mm, 3 mm and 5 mm in a variety of colors and two flavors of white plus blinking varieties. Try some. 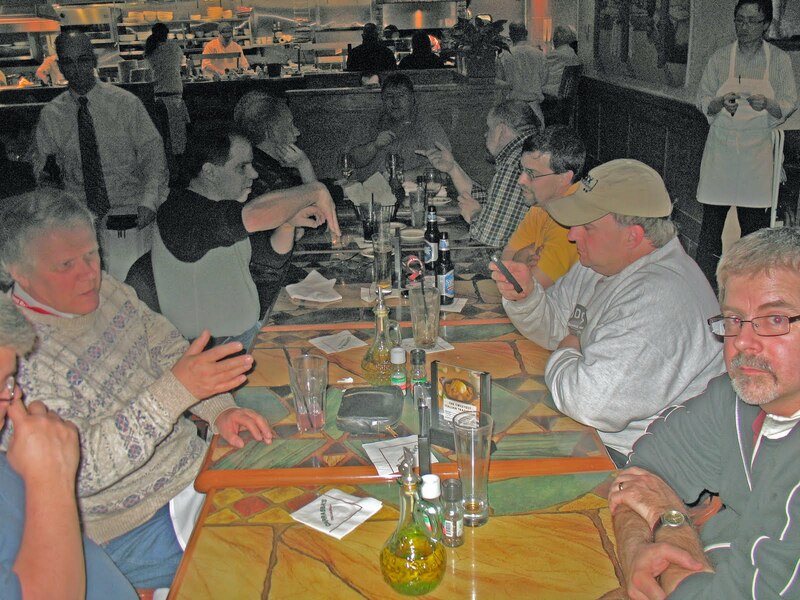 Saturday night I attended one of the two dinners arranged by the hosts and listeners to Model Rail Radio (MRR). MRR is a bi-weekly podcast started by Tom Barbalet; more than a podcast, Tom is trying to create a community of listeners. The show's format is open and anyone, literally anyone, can participate in the show. After discovering MRR in mid-2010 and catching up on the shows by listening to them sequentially from the beginning, I decided to jump in with both feet during the Jan. 21 recording. At the dinner everyone, most meeting face to face for the first time, were received warmly. I sat among a group of modelers from Canada who were very interested in my modeling efforts. Of course being a O Scaler, thereby a bit of an odd duck, probably piqued their interest.